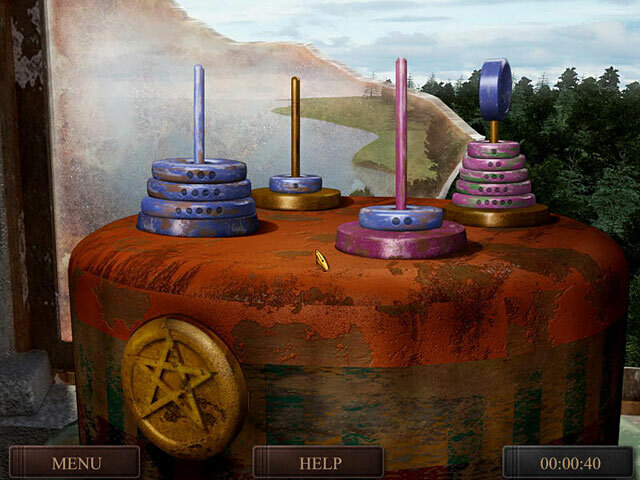 Various riddles are here for you, solve them all! 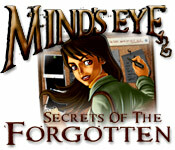 Mind's Eye Secrets Of The Forgotten was available as a giveaway on February 3, 2019! How would you improve Mind's Eye Secrets Of The Forgotten? Mind's Eye Secrets Of The Forgotten downloads to a 177 MB zip file that unzips to three files, (a setup.gcd security wrapper the set-up file and a read me). The game installs to the following path by default, but can be changed if you wish. The installed game is 187 MB in size. 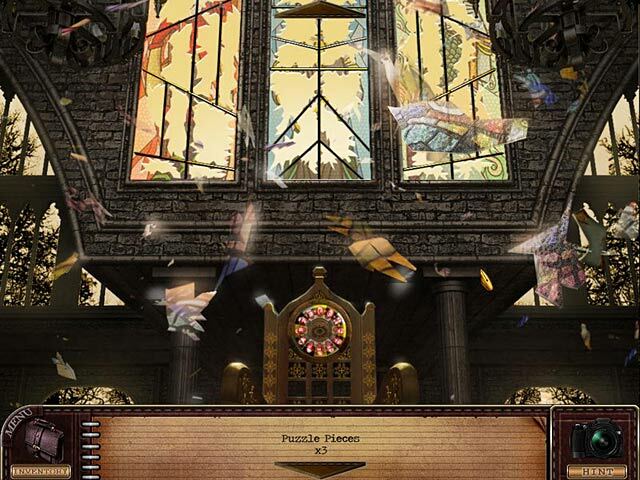 The other puzzles are more of a mixed bag. One of the early examples is a code-breaking brainteaser that caught me completely by surprise and I’m almost embarrassed to admit how thrilled I was to see a new kind of puzzle in a HOG. On the downside, it also sharpened the disappointment I felt a short time later when I was smacked in the face with, yet again, the Towers of Hanoi. 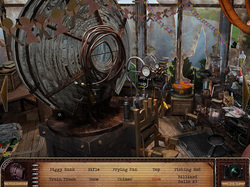 All the between-level puzzles can be skipped but only after a timer, which grows longer with each passing puzzles, finishes counting down. The game’s cut scenes are also unusual, to say the least. For the most part, they feature simple, hand-drawn graphics that look like something out of a Hanna Barbera cartoon, but every now and then other elements done in completely different visual styles are tossed into the mix too, and the effect can be a bit jarring. The scenes themselves unfold very slowly and while they can be skipped, doing so bypasses what little connective tissue there is holding the story together. Fortunately, in one sense at least, the very short length of the game means that most players will be able to afford to waste a few extra minutes watching the interludes and trying to make some more sense out of what’s going on. 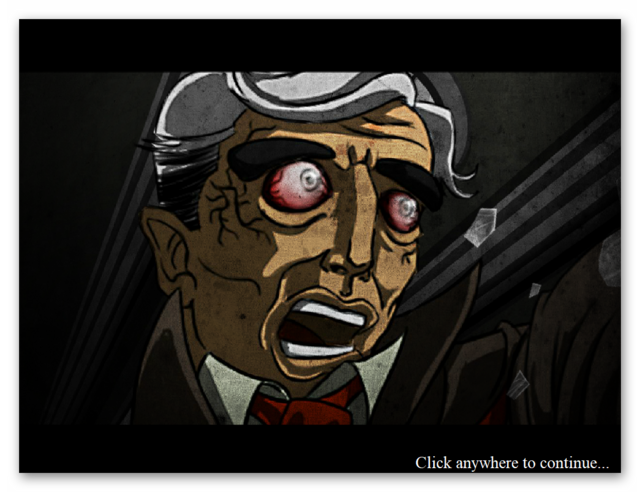 And that, now that we’ve got to it, is the straw that broke the camel’s back: Mind’s Eye is shockingly short. I was able to finish it in a little less than two hours of not particularly hard-driving game play. 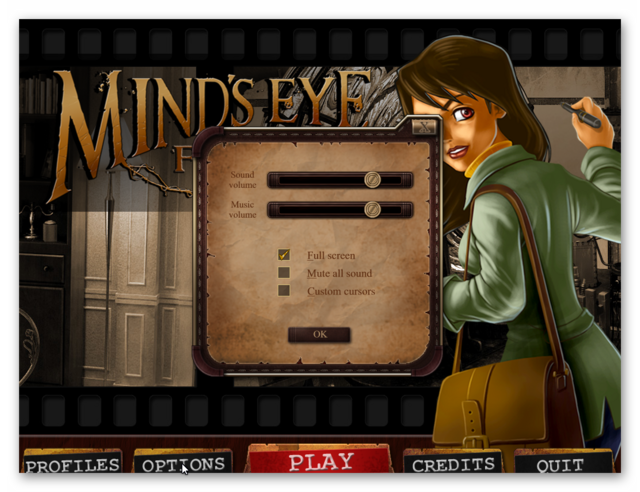 Mind’s Eye boasts 20 locations and ten mini-games, but since it only takes a few minutes to run through each, it adds up to… well, not a lot. 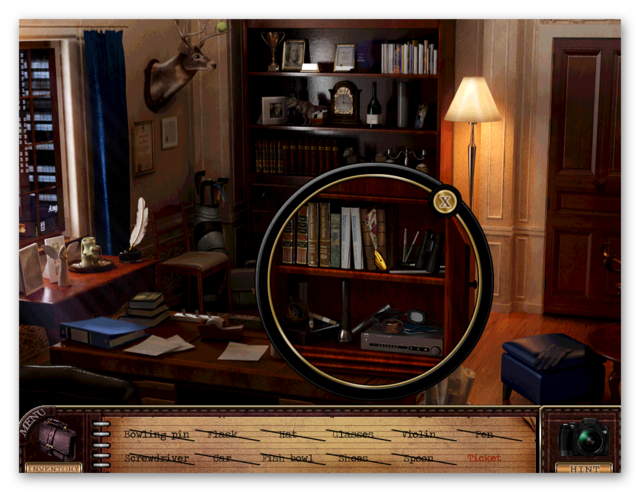 An aimless plot and run-of-the-mill visuals can be forgiven when a game compensates with hours upon hours of hidden object searches, but when it can be put away in less time than it takes to watch two episodes of “Castle,” such shortcomings are much harder to excuse. That, ultimately, is the bottom line: There are simply too many shortcomings to overlook. The game play shows flashes of potential and daring but then slips back into the tired old HOG conventions while the story, which begins with so much promise, ends in a disconnected flurry of near-randomness. There are no extras to keep players coming back, like high scores, bonuses or achievements, and object searches are exactly the same every time through, so replay value is effectively zero. 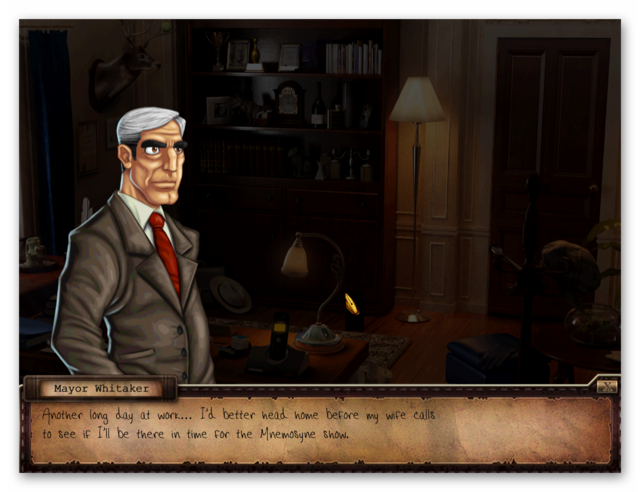 With so many better choices available, Mind’s Eye: Secrets of the Forgotten is just too forgettable to bother with. 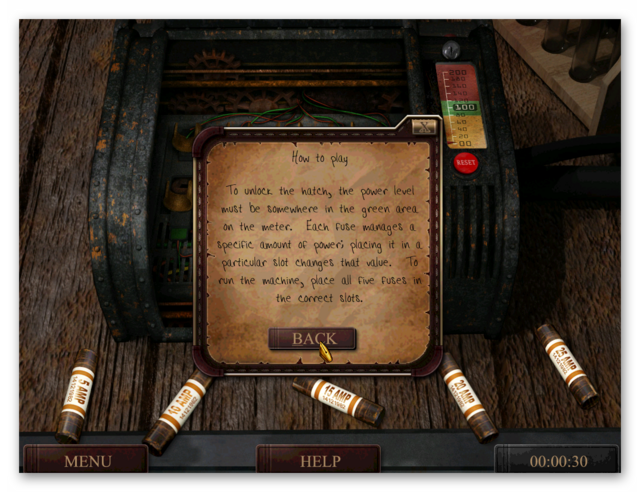 Mind's Eye Secrets Of The Forgotten is a reasonable hidden object game with various puzzles thrown in. It's not the best HOG I've played by any means, but I did enjoy playing it despite developing a headache from the prolonged searching for objects. 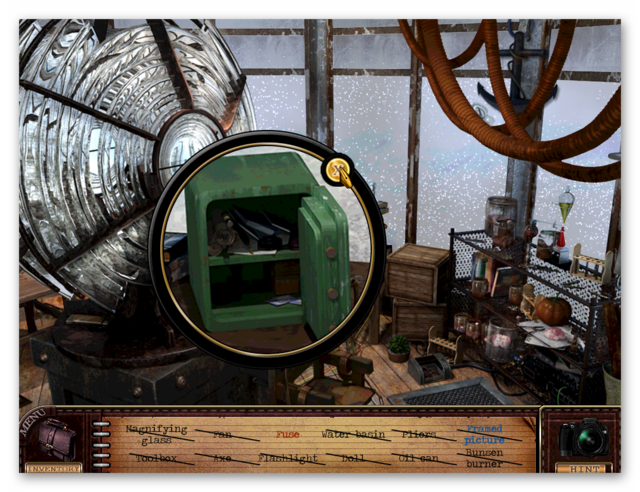 I liked the perspective aspect of each hidden object, where some objects were hidden from view if you were looking at the scene from certain positions. 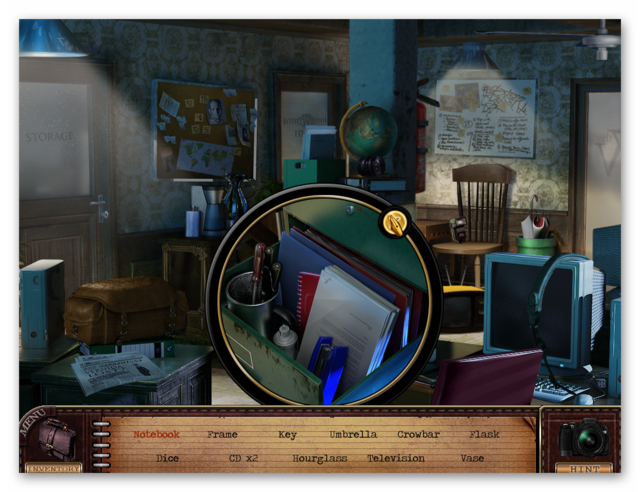 I prefer pure hidden object games like the old I Spy games, that had plenty of hidden object scenes, with little else. 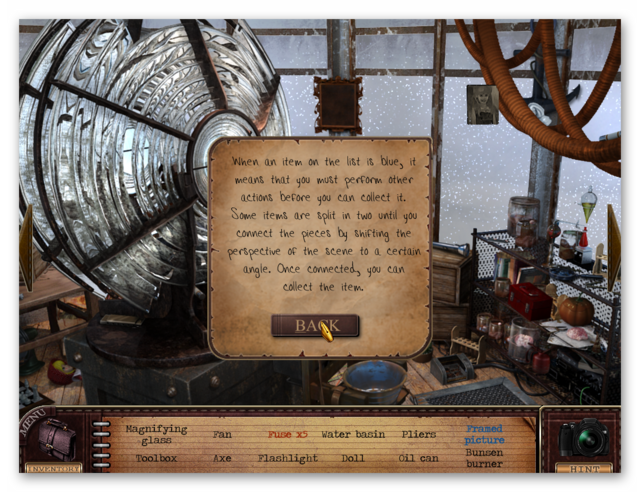 I find the constant interruptions by story boards a little distracting, but the ones for this game weren't too bad, plus the large number of hidden object scenes negated this for me. 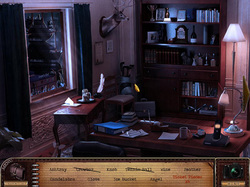 Most of the puzzles were easy to solve, though I wouldn't have called the monitor display or the fuse box power output mini games, puzzles as they relied more on trial and error than pure puzzle solving; however, if you did have difficulty with any of the mini games you could just skip them. 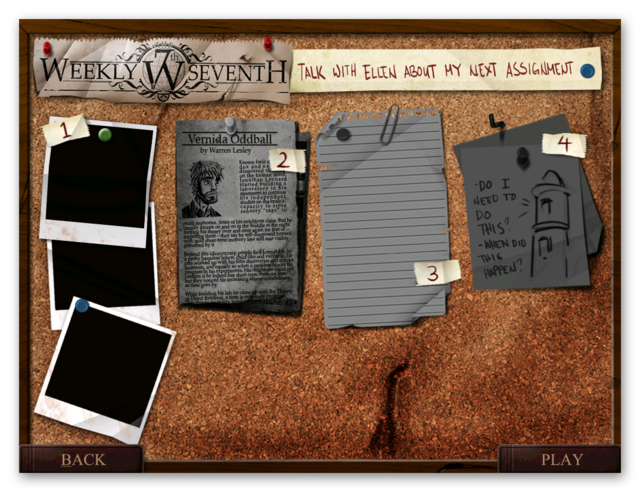 Despite the frequent story-boarding, this was a pleasure to play as there were lots of hidden object scenes to tackle. It's almost a decade old now, so the less than sharp visuals can be forgiven. You can still find most objects easily enough. 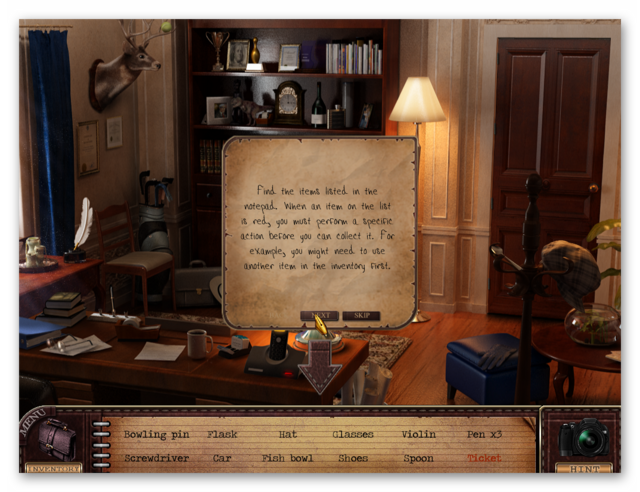 I used the hint button several times on my play through, partly due to differences in semantics. 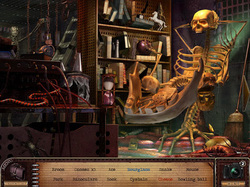 The game also has some rather surreal moments for example when you entered the dolls room and found several dolls, some of which were headless, hanging in various positions. One of your tasks, once you've found the missing heads is to place them on the correct bodies. Overall If you are into pure HOG's, this is worth downloading despite the frequent story board interruptions. If you're having problems installing or activating or getting Mind's Eye Secrets Of The Forgotten to work please visit the FAQ's Thread HERE and read through the communities comments because sometimes fixes have already been posted, for example, a common issue seen since the Themida wrapper was introduced three years ago is that some community members installation of the game are blocked by their security because Themida code has been known to hide malware, (usually an error message is flagged for example 'The executable is corrupted' even though in reality it is not); so as a precaution some anti malware programs will block and even delete the suspect installation files even though the files (i.e. the setup, read me and setup.gcd files are actually totally free from malware. This issue can be solved either by rebooting your computer in safe mode with networking or a quicker method is to temporarily turn off your security software to allow the installation. You could also try white-listing the setup.gcd file. In the almost 12 years this game giveaway site has been operating there has 'never' been a game given away that was infected with malware. 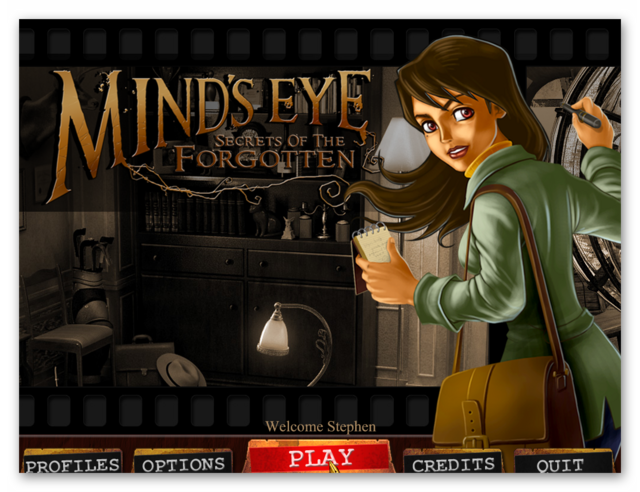 If Mind's Eye Secrets Of The Forgotten doesn't interest you, but you still hanker for something new to play, you'll find details of some game deals whether they be sale items, indie bundles or games being given away for free HERE (I've not updated the thread in a while, but most of the links still take you to the latest deals). You can get 'Assassin's Creed Chronicles: China' free via uPlay until Tuesday 5th Feb morning 7am UK time HERE. You do need a free uPlay account and the uPlay client. Plus there are two other games free; 'Kholat' via Steam HERE and 'A Trip to Yugoslavia (Directors cut)' via the Indie Gala bundle site HERE; all three links take you to the giveaway forums where you'll find a brief description, video and images plus a link to the download site for of each game. I finally had to give up on this game. 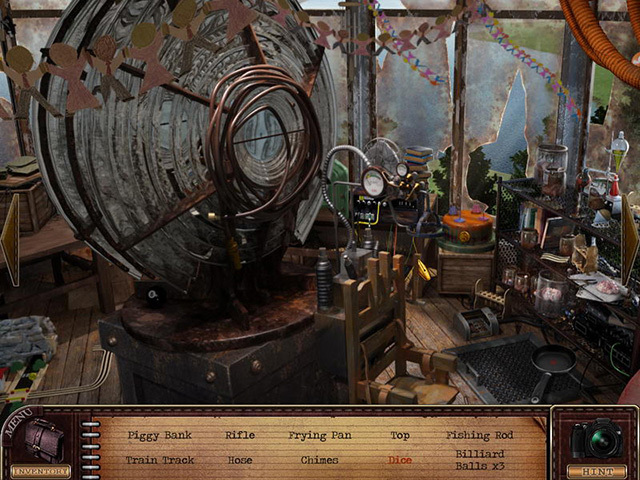 Many of the objects are impossible to see, even after using the help button. The straw that broke the camel's back was trying to collect a fuse that help had shown me. 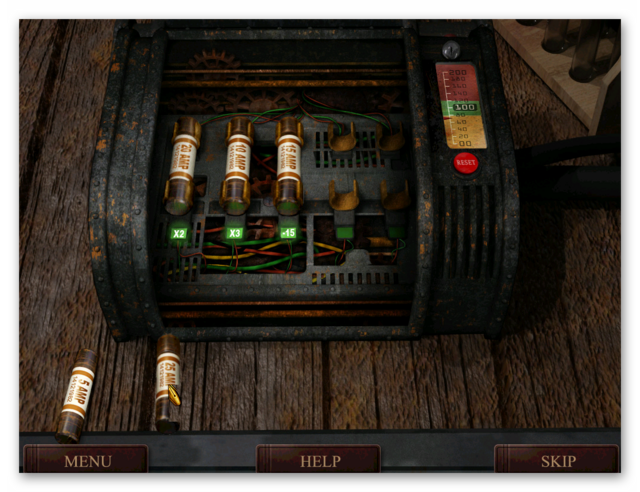 I clicked and clicked and clicked on the fuse and it would not be collected. This game is much too frustrating to be worth playing. Sorry for the late reply. The game is quite old and if you have a fairly new monitor, it could be the resolution that you have your monitor set to that is causing the issue. If you go into compatibility mode via properties (right click on the games executable or shortcut to the game, then open the compatibility tab). Check the checkbox for 'Run this program in compatibility mode for' then, from the drop down menu select the Vista option. Also select 'Disable full screen optimization's and 'Run this program as an administrator'. If this doesn't work, try changing your screen resolution via the display settings (right click on your desktop then select Display settings from the menu that appears). I know changing the resolution is an annoyance, but it may fix the issue. Its a shame but the game is way too dark to play. Removed. Is there a way to designate which monitor the game will use on a multi-monitor system? It doesn't matter what I try I can't get this to run on my windows 10 computer. 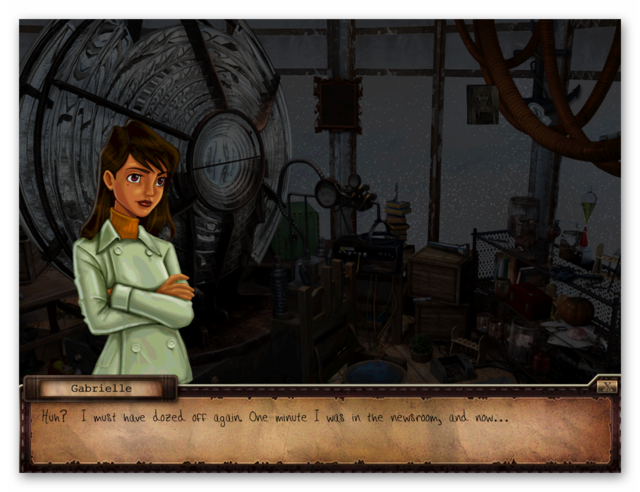 It will open to the games screen showing the girl and the title, plays the music and slowly spins the graphics but will NOT go any further and I have tried compatibility mode all the way back to XP. I know someone else listed other changes he made and got the program to eventually work but all that fiddling is beyond my computer abilities and shouldn't be needed just to run a game. Does not work on my Windows 10 64 bit Home Edition OS, tried the troubleshooter all the way back to Windows XP with high DPI correction and nada. All I see is a scene of what I assume is the standard background. 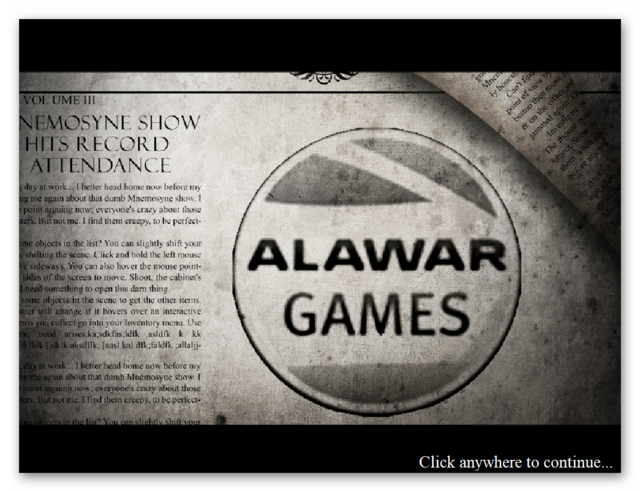 The other thing I noticed is that the logo for Alawar was off-center, so I guess there might be graphics problems to start off with. There is no menu whatsoever and clicking various places on screen doesn't have any effect. It's a 32 bit program and apparently may not run well in 64 bit. I got it working after reading some ideas below. Here's what I did, not sure what it took. First, compatibility set to Windows Vista service pack 2. Next, reduced color mode and set to16 bit. Next, disabled fullscreen optimizations. Third, in change high DPI settings, I checked to override high DPI scaling behavior and and allow scaling to be performed by application. Thanks for review pluses & minuses to game. Pass for me. One more HOG game and will begin to think HEAVE. The developer had a half way decent rep but overload set in on my side. On to other things but appreciate the offer. Still have the Settlement one from yesterday. HAD TO UNINSTALL SAYS I NEED TO USE A DIFFERENT DISPLAY. I DON'T KNOW WHAT THAT MEANS. Hi u love, the game is almost a decade old so may not play well on the latest monitors. How old is your monitor and what model is it? You may need to update the device drivers for it. So long as you know the model number it's easy to find the correct drivers for your monitor online. The following link is to a site that has reviewed 13 different driver download sites HERE. I've previously used Download.co, c|net and Driver Zone with no issues or malware threats. Try right clicking on the games executable, either via the installed folder or the games desktop shortcut,. From the drop down menu select 'properties'. This opens a small properties window. Click on the compatibility tab (there's usually six tabs called Security, Details, Previous Versions, General, shortcut and Compatibility). You can opt to run the compatibility troubleshooter, or manually adjust them. There should be a link that says ''How do I choose compatibility settings manually''. Alternatively check the 'Run this program in compatibility mode for' , then click on the down arrow next to where it says Windows 7 (or equivalent); then from the drop down menu select 'Windows XP'. Also make sure the 'Run this program as an Administrator' is checked. If these changes don't allow the game to start, try checking the other check-boxes in compatibility mode (i.e. 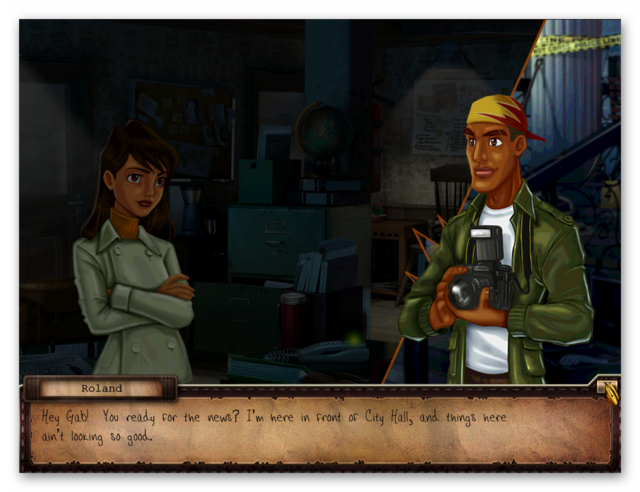 Run in 640x480 screen resolution, Disable full-screen optimization and reduce color mode. Please do let me know if that worked. finally, if all fail, go to the FAQ's thread HERE and see if there are any fixes that will allow you to play this game. Thank you for the excellent and helpful review, whiterabbit!